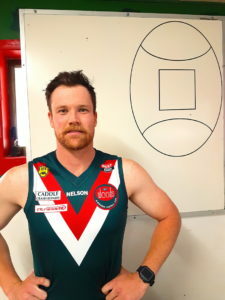 The Blackwood Football Club is excited to announce the signing of Jacob Broad for season 2019. The 26 year-old midfielder is an experienced A Grade footballer having played 106 senior matches for Echunga and Torrens Valley in previous seasons. Across the 106 senior games Broad has played in the Hills Football League he has kicked 20 goals whilst being named in the best players on 30 occasions, a 28.3% ratio. He was also a member of the winning 2018 Hills Football League coached by Damian Salievic and ‘Woods players Daniel Bennetts, Phil Hopton, Brad Jones and Matt Waldron. Welcome aboard Jacob. We are thrilled to have you playing in the red and the green in 2019.